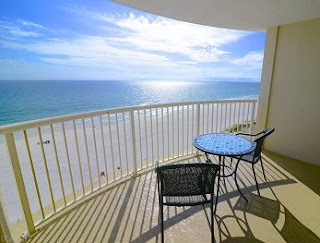 Gulf Shores AL condominium home for sale at Royal Palms. Location, location, location! Own your slice of gulf front paradise at royal palms nestled next to pristine beaches and the state park with miles of beach views! Extremely popular located with a roomy one bedroom with large bow front balcony. Floor plan features a large master with en suite bath and bunk nook with a second bath. Decorated in a classic beach motif- you will love this as an investment or your getaway. Amenities galore including indoor pool, gulf front pool, hot tub, and covered parking. This location is truly one of a kind. This unit has been loved and well cared for and owned by one family. Stellar rental bringing in $29k+ last year and 2018 is on pace to match. These units are rarely listed. Walk to all the attractions and fishing pier is nearby.